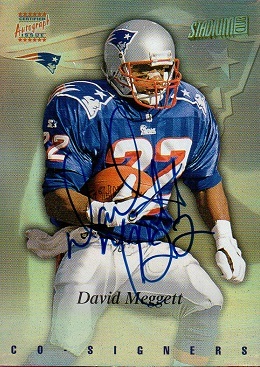 I was happy to add this card to the Hoard. 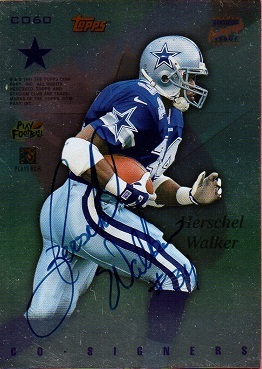 Especially since it was issued during Herschel's active playing days. This is the third version of the Stadium Club Co-Signers series featuring Herschel Walker. The other cards have Herschel with Anthony Johnson and Rodney Hampton. I already have those two editions in the collection. This particular card is the only one of the three that shows Walker on the reverse side of the card. I'm up to 588 on the way to 600 different Herschel Walker cards.